BoulderBodyworks - The Best Boulder Pilates Studio. With the healing power of Pilates, Yoga, Massage and Bodywork we can harness and direct your body’s vital force to create radiant health and wellness. We deliver Pilates programs designed to meet your specific needs. Our private yoga sessions are gentle, accessible, and supportive. Massage treatments that work effectively to reduce pain and unlock tension. Ancient wisdom backed by modern science for whole body wellness. Founded in 1999 BoulderBodyworks is a uniquely transformative experience. Our passion is helping people to improve their health, fitness well-being through our integrated team-based approach to bodywork, movement and exercise. With small class sizes, calm energy and the expertise of highly trained therapists and teachers, we take an individualized approach to healing. 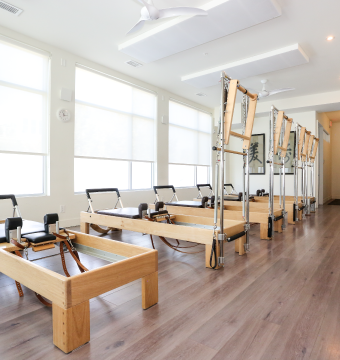 Working with people of all ages and abilities, we provide Pilates for both rehabilitation and fitness as well as Therapeutic Massage, CranioSacral Therapy, Yoga, Acupuncture and Comprehensive Manual Therapy. Join us on your journey to develop greater body awareness, improve your posture, have less pain and live your life more radiantly.